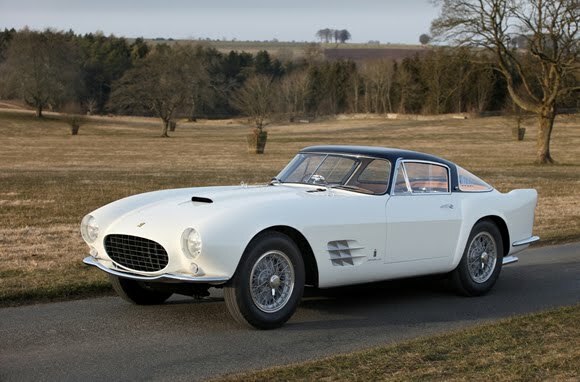 With a mouthful of a name like that it might be easy to dismiss this Ferrari 375MM but after seeing it on martinchisholm.com I'm sold. This would easily have to be one of the best Ferrari's ever built. From the front grill to the vents in the front guards to the rear wings this is a beautiful car. Check out some more great pics of it here.